Ethiopia is known to produce undeniably genetically beautiful coffees. Unlike other producing countries, the land still grows wild coffee plants, and varieties have evolved naturally - Combine that with expert sourcing & milling by our dear friend Heleanna, of Moplaco Trading Co., a woman driven by her love for coffee and her love of Ethiopia, and you’ve got a beauty. Heleanna Georgalis took over the reins of her late father's coffee exporting company, MOPLACO. 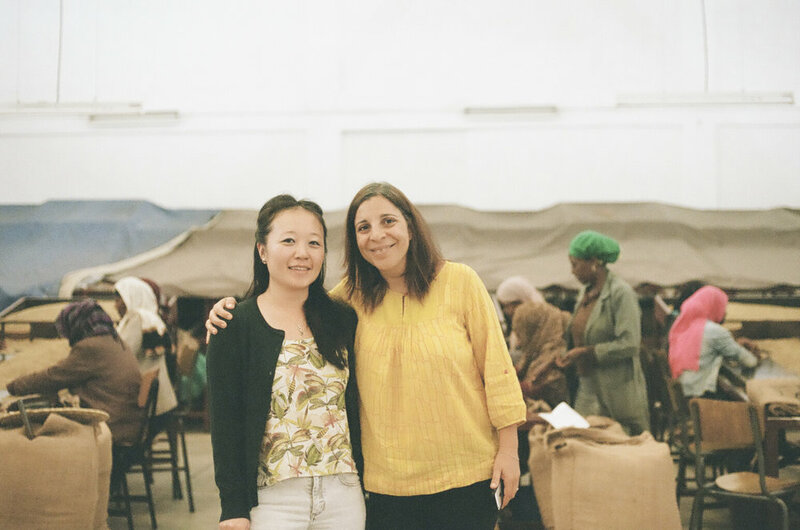 She has since then earned a reputation for producing high quality Ethiopian coffees. She is involved in multiple aspects of Ethiopian coffee; farming, milling, sourcing, exporting & processing. We were introduced to Heleanna's efforts by our importer, The Collaborative Coffee Source. Having a good supplier means access to expertly prepared and exported coffee, crucial to sustaining the effort put into coffee production, in order to achieve a sustainable coffee industry. GOOD TO KNOW: Heleanna is transparent, honest and accessible. She pushes limits and develops new opportunities for specialty coffee roasters and farmers alike.